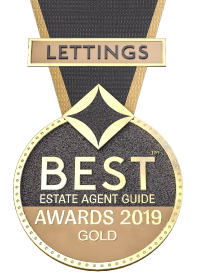 With our local knowledge and commitment to our clients, Quealy & Co are here to help you sell, rent or finance your property or find your dream home. Covering all of Sittingbourne, as well as many of its surrounding rural villages, means that we deal with the entire spectrum of properties: from stunning listed buildings to affordable first homes as well as businesses. Our team not only works in and around Sittingbourne, but we live here too, and so bring a wealth of local knowledge. This also means that we offer the personal touch and can give you local information about Sittingbourne which other estate agents might not know – roads affected by rush hour traffic and how to get around, development plans for the future, the reputations of Sittingbourne's local schools, the best leisure and sports clubs even the best toddler attractions. Our status as a small business means that our attention is fully on our clients, offering them unrivalled support and efficient service – all at competitive prices. We are located on a prominent corner of West Street and Park Road, you cant miss us, and enjoy the constant bustle of the town's shoppers, meaning that our properties get maximum exposure. In addition, we advertise on all the major property portals as well as on our own website to ensure our properties and services are available to the widest possible audience. Presentation is so important to us and we produce top quality property details with professional photography and take great care to ensure that our descriptions make our properties stand out from the rest. Kent’s historic town of Sittingbourne is ideally situated between London and Dover and enjoys excellent road and rail links, including a high speed train service which can get you into London in less than an hour. The town boasts many outstanding schools, including two grammar schools, a leisure centre, theatre, sports clubs, golf course and numerous shops. For those fascinated by history, Sittingbourne holds a wealth of interest. Evidence of settlements from the Copper Age has been found in the town, and in the nearby village of Milton Regis twenty Roman villas have been discovered. A pleasant afternoon can be spent at the town's museum or at the old courthouse in Milton which is open to the public each week. Archaeological finds are often displayed in the Forum Shopping Centre, where the public can enjoy the latest discoveries. Much of the town's wealth and Victorian expansion was founded on local industries including brick making, paper mills and barge building all of which is evident around the town in museums and in the way the housing stock has developed. In the town centre, the old magistrate's court has been transformed into The Golden Hope, where you can enjoy a tipple and a delicious meal in a prison cell! Following the murder of Thomas Becket in 1170, Sittingbourne grew as it became a useful resting point for the pilgrims on their way to Canterbury Cathedral. And the town continues to expand today: with an inspirational £57m re-imagining of Sittingbourne's town centre currently underway, Sittingbourne is fast becoming an urban hub with big names like Marks and Spencers, Pizza Express and Travelodge flocking to the town. An 8 screen cinema and stylish new restaurants around the public square will enhance Sittingbourne's night life and help make it a true ‘destination town’ and an exciting place to live.